If you're looking for income in retirement, a classic source of that are dividend payments. 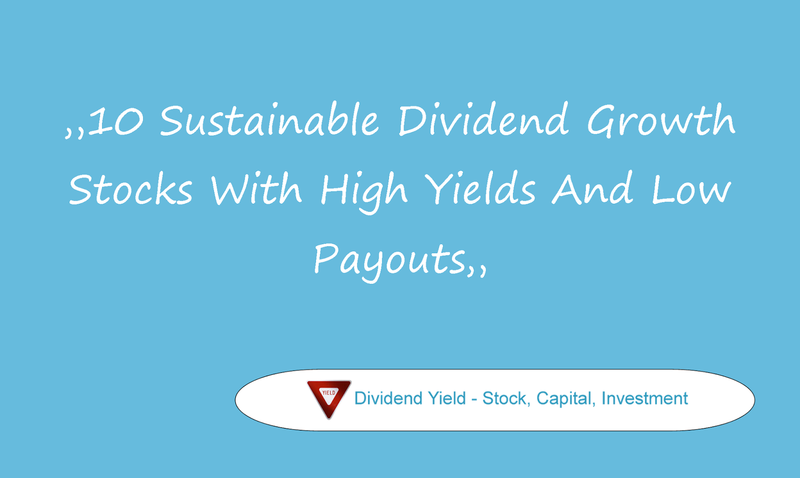 Dividend income may not guaranteed but they can easily deliver a sustainable income source. And while not guaranteed, many dividend payouts are exceedingly reliable. Even better, dividends from healthy, growing companies tend to be increased over time, while the stock price should grow in tandem. For safe and steady dividend income, seek out companies that: Pay reasonably generous dividends, such as 2.5% or more. By the way, you may also like my article about the 20 safest Dividend Champions. Always good to know what stocks have the lowest beta ratio. --- Have a track record of hiking their payouts regularly. --- Have low payout ratios -- no more than 30%. --- Are stable, growing, and easy for you to understand. Below are 10 stock ideas from the dividend growth investing space that fulfills some of these criteria. Which from the results do you like? Please share your thoughts by leaving a comment. Thank you. BHP Billiton (NYSE:BHP) has a market capitalization of $132.29 billion. The company employs 47,044 people, generates revenue of $67,206.00 million and has a net income of $15,224.00 million. BHP Billiton’s earnings before interest, taxes, depreciation and amortization (EBITDA) amounts to $30,426.00 million. The EBITDA margin is 45.27 percent (the operating margin is 34.84 percent and the net profit margin 22.65 percent). Market Valuation: Here are the price ratios of the company: The P/E ratio is 9.74, the P/S ratio is 1.97 and the P/B ratio is finally 1.02. The dividend yield amounts to 4.79 percent and the beta ratio has a value of 1.53. Intl. Business Machines (NYSE:IBM) has a market capitalization of $162.18 billion. The company employs 431,212 people, generates revenue of $92,793.00 million and has a net income of $15,752.00 million. Intl. Business Machines’s earnings before interest, taxes, depreciation and amortization (EBITDA) amounts to $24,970.00 million. The EBITDA margin is 26.91 percent (the operating margin is 21.54 percent and the net profit margin 16.98 percent). Financials: The total debt represents 34.72 percent of Intl. Business Machines’s assets and the total debt in relation to the equity amounts to 343.82 percent. Due to the financial situation, a return on equity of 90.89 percent was realized by Intl. Business Machines. Twelve trailing months earnings per share reached a value of $15.75. Last fiscal year, Intl. Business Machines paid $4.25 in the form of dividends to shareholders. Market Valuation: Here are the price ratios of the company: The P/E ratio is 10.39, the P/S ratio is 1.75 and the P/B ratio is finally 13.65. The dividend yield amounts to 2.69 percent and the beta ratio has a value of 0.63. Deere & Company (NYSE:DE) has a market capitalization of $31.65 billion. The company employs 59,600 people, generates revenue of $36,066.90 million and has a net income of $3,170.90 million. Deere & Company’s earnings before interest, taxes, depreciation and amortization (EBITDA) amounts to $6,292.40 million. The EBITDA margin is 17.45 percent (the operating margin is 15.49 percent and the net profit margin 8.79 percent). Financials: The total debt represents 60.26 percent of Deere & Company’s assets and the total debt in relation to the equity amounts to 407.81 percent. Due to the financial situation, a return on equity of 32.71 percent was realized by Deere & Company. Twelve trailing months earnings per share reached a value of $8.39. Last fiscal year, Deere & Company paid $2.22 in the form of dividends to shareholders. Market Valuation: Here are the price ratios of the company: The P/E ratio is 11.02, the P/S ratio is 0.88 and the P/B ratio is finally 3.52. The dividend yield amounts to 2.60 percent and the beta ratio has a value of 1.22. AFLAC (NYSE:AFL) has a market capitalization of $27.49 billion. The company employs 8,859 people, generates revenue of $22,728.00 million and has a net income of $2,951.00 million. AFLAC’s earnings before interest, taxes, depreciation and amortization (EBITDA) amounts to $4,491.00 million. The EBITDA margin is 19.76 percent (the operating margin is 19.76 percent and the net profit margin 12.98 percent). Financials: The total debt represents 4.41 percent of AFLAC’s assets and the total debt in relation to the equity amounts to 28.22 percent. Due to the financial situation, a return on equity of 17.70 percent was realized by AFLAC. Twelve trailing months earnings per share reached a value of $6.50. Last fiscal year, AFLAC paid $1.50 in the form of dividends to shareholders. Market Valuation: Here are the price ratios of the company: The P/E ratio is 9.56, the P/S ratio is 1.21 and the P/B ratio is finally 1.47. The dividend yield amounts to 2.51 percent and the beta ratio has a value of 1.59. SJW Corporation (NYSE:SJW) has a market capitalization of $631.83 million. The company employs 379 people, generates revenue of $319.67 million and has a net income of $51.81 million. SJW Corporation’s earnings before interest, taxes, depreciation and amortization (EBITDA) amounts to $130.78 million. The EBITDA margin is 40.91 percent (the operating margin is 29.05 percent and the net profit margin 16.21 percent). Financials: The total debt represents 31.37 percent of SJW Corporation’s assets and the total debt in relation to the equity amounts to 110.55 percent. Due to the financial situation, a return on equity of 15.21 percent was realized by SJW Corporation. Twelve trailing months earnings per share reached a value of $2.54. Last fiscal year, SJW Corporation paid $0.75 in the form of dividends to shareholders. Market Valuation: Here are the price ratios of the company: The P/E ratio is 12.31, the P/S ratio is 1.98 and the P/B ratio is finally 1.75. The dividend yield amounts to 2.50 percent and the beta ratio has a value of 0.74.